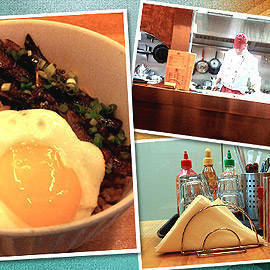 A fine dining spot continues to be city’s top gastronomic attraction. 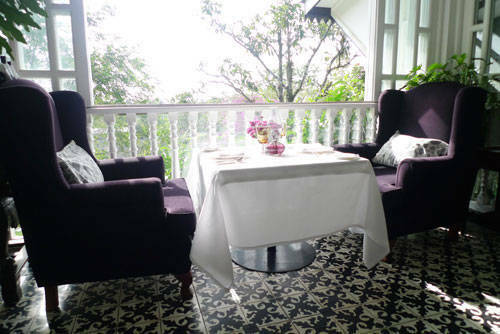 (SPOT.ph) Everyone loves going to Tagaytay because of the cool weather, the magnificent view, and the impressive restaurants. And topping the latter, at least in my book, is Antonio's. Antonio's is modeled after a traditional Filipino manor. Big windows let in lots of natural light, and contemporary furniture set in traditional interiors give it a contemporary country ambiance. Dining automatically becomes a leisurely activity. An elegant dining area, not to mention beautiful goblets and flatware, make even the simplest meal there a special occasion. Who doesn't love Antonio's? 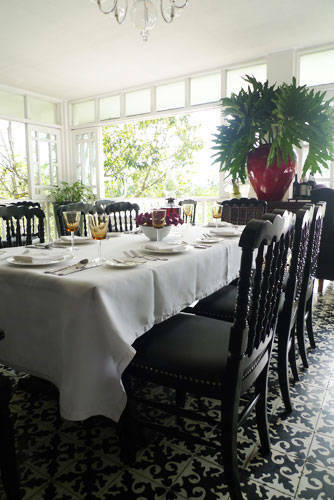 This Tagaytay dining destination is the top restaurant in the country, consistently topping polls and winning local and international awards. And with good reason. Antonio’s is known for near-perfection in everything, from cuisine to service to ambiance. 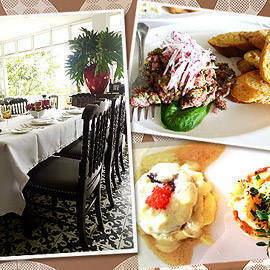 It's a restaurant that you really have to make time to get to and spend time in, and the experience is always worth it. 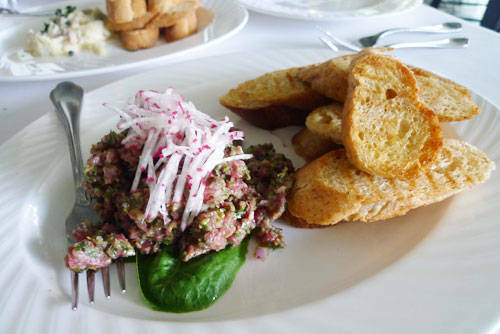 I adore the Steak Tartare, raw beef sliced thin, mixed with herbs and served with julienned radish and slices of toast. The herbs add a zesty flavor to the beef, which I enjoy by itself, without the toast. I suggest you give the excellent Steak Tartare a try, even if you're not big on raw meat. You can tell yourself that the herbs and acid partially cooks the steak, if that will make you feel better. Everyone loves Antonio's steak. I do too. It's what almost everyone orders when they visit, and it is divine. I also like the Seafood Sampler, which is perfect for someone like me, who can't make up her mind because everything on the menu looks so good. 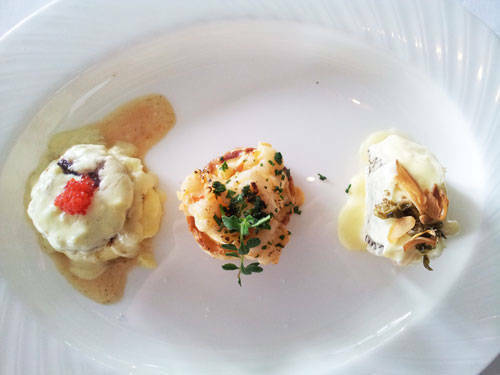 The dish consists of tiny servings of Grilled Chilean Sea Bass with Potato Gratin and Fish Caper; Veloute Prawn Thermidor; and Pan Seared Scallop on Mashed Celeriac, Truffle Cream Sauce. The sea bass is light, the potato a nice contrast. The scallop, my favorite of the trio, was firm and and a wonderfully subtle truffle taste. The Seafood Sampler has sea bass, prawns, and scallop. It's perfect for the diner who can't decide on one thing. Even the drinks at Antonio's are one of a kind. The Strawberry Balsamic is a sweet slush that's perfect for a hot summer day. What makes Antonio's drinks extra special are the ice cubes, which are frozen versions of the drink so that when they melt, you don't end up with something diluted. The restaurant offers an impressive selection of desserts. They've recently revamped their ice cream and sherbet menu, offering flavors exclusive to the restaurant, some of them liberally spiked with alcohol. 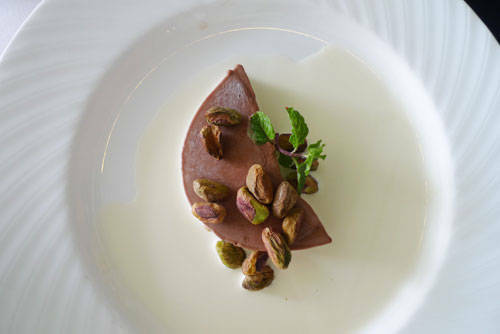 My favorite dessert is the Felchlin Maracaibo Chocolate Terrine with Double Cream and Roasted Pistachio, a thick chocolate tart with a dense flavor that doesn't overwhelm. That, plus a cup of Antonio's excellent coffee, is a good way to cap a sublime meal. The Felchlin Maracaibo Chocolate Terrine is a chocoholic's dream come true. It's dense and not too sweet, and is so good I wouldn't be surprised if it turned out to be the answer to world peace. 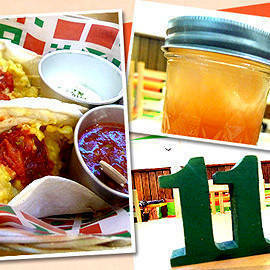 There are many reasons to go to Tagaytay. For me, for now, number one is Antonio's.